Would you like to put page number box on top or bottom of MAC flipbook? If you adopt the template type of Classical, you would encounter this kind of choice that place the page number box on top or bottom. What’s the page number box? Some people would ask that. In fact it shows the current flipping page number. To make the flipping book look better, you have to decide top or bottom depending on what’s the effect you want the flipbook access to. Here I teach you how to move the page number box from top to bottom. Oppositely you can switch it from top to bottom. 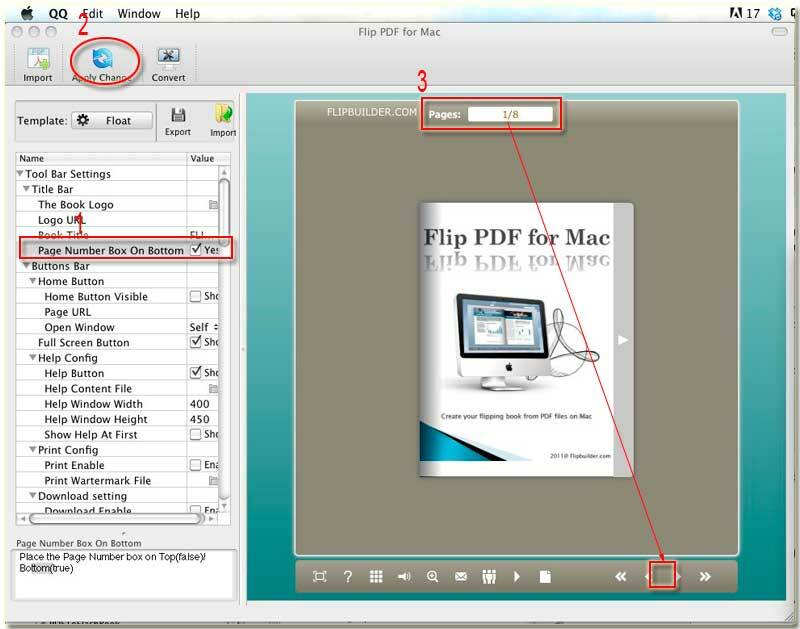 Step1: Please start FlipBook Creator for MAC, and then import a PDF file that you prepared beforehand. Step2: Of course, it’s time to select template type. You know we focus on type of Classical. Step3: turn your eye sight to the left setting list, and then find the options Tool Bar Settings --> Title Bar --> Page Number Box On Bottom. You know we should check the Yes checkbox. Step4: click the top icon of Apply Change. As the below illustration demonstrated, after click the icon of Apply Change, the top page number box will be moved to the bottom. Maybe you should try it yourself to completely grasp it.